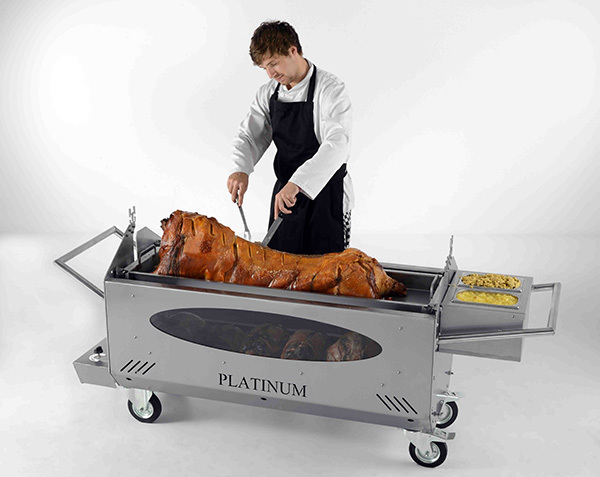 The Platinum, is the ultimate in hog roast machines. 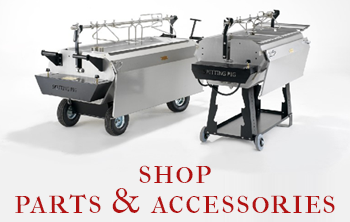 Is has so much more capability than any other hog roast machine on the market. 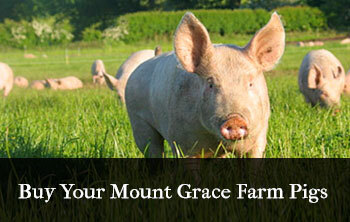 With its gastronomes you can serve hot sauces to your gueusts to accompany your hog roast. 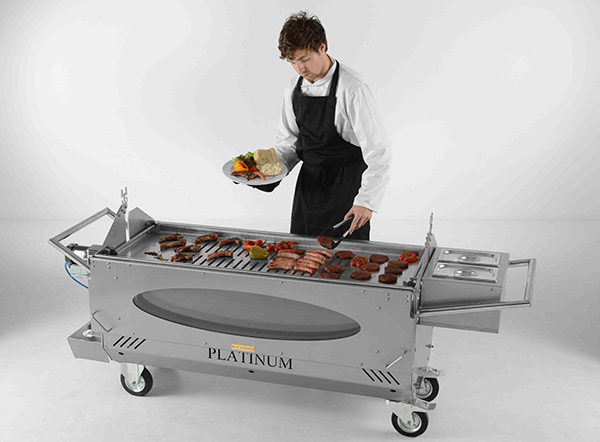 The Platinum machine can cook two pigs, four legs of pork and 200 jacket potatoes all at the same time. It really is a tremendously versatile machine that has no limitations. You are able to feed hundreds of guests at once. Perfect for festivals, weddings, charity events or any type of large party. 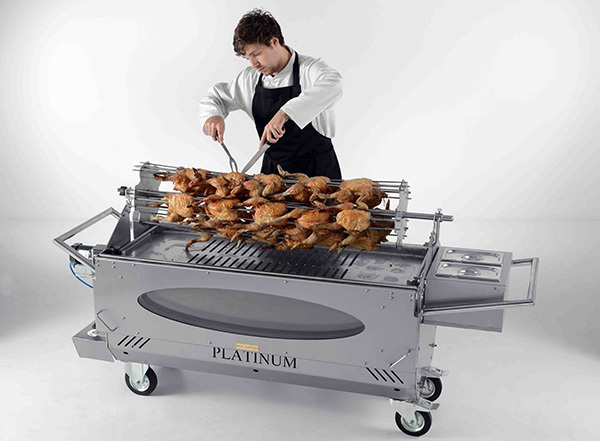 Your Platinum can also be used as a traditional bbq, you can still be cooking your pig at the same time. You can also use the lower area to store extra bbq food ready for service. 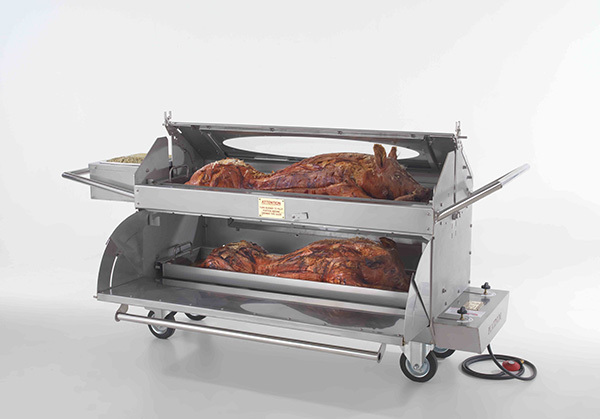 You can use the chicken spit attachment to cook chickens or joints of meat for a carvery. Again, you can also use the lower section of the machine to cook any other meat, vegetables or potatoes as accompanying dishes at the same time. 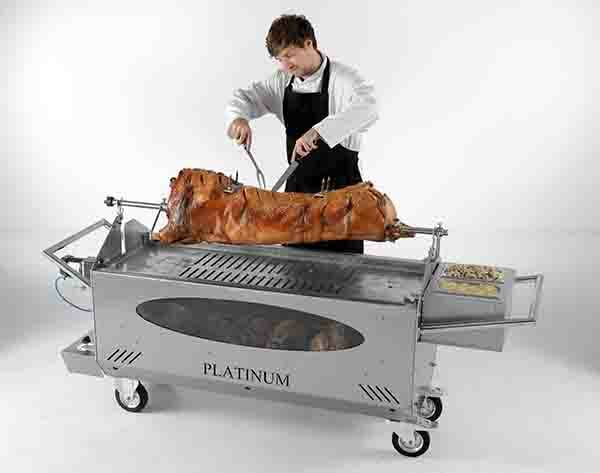 The Platinum makes an excellent spit roast machine. You can also cook extra legs of pork for those larger jobs at the same time, or potatoes and veg as accompaniments. This machine is a fantastic piece of equipment to display a beautiful traditional cooking method right in front of your guests eyes.